Were you aware of the fact that residents living in major cities have higher energy costs compared to everyone else in the nation? High energy costs take a major toll on your budget every month, but electrical contractors understand that there are easy ways to save energy and reduce your monthly bills. In the past, it was necessary to walk over physically to a thermostat to adjust the air conditioning or heat, but those times are long gone. A smart thermostat allows you to turn the AC or heater on or off or adjust the temperature almost anyplace in the world. Also, you can program a smart thermostat almost anyplace in the world. A smart thermostat can also be a program so that you don’t waste cool air or heat while you are away from home. For example, instead of leaving on your heat all day long and wasting heat while no one is in the house, the thermostat can turn on 20 minutes before you getting home. That way you won’t be wasting energy, but the inside of your house will be warm by the time you get home. Your thermostat can also be programmed to turn the heat down at night after you are snuggled up in bed. You can do the same thing with the air conditioning in the summer, and that can be a big reduction in energy costs. If you are not sure how to get a smart thermostat installed, your local area electrical contractor may be able to assist you. Most likely you have a number of different items in your house that don’t have to be plugged in at all times. For example, your toaster and microwave don’t have to be plugged in until you are going to use them, and your coffee pot doesn’t need to be either. If you have DVD players and TVs in the guest room or another room where they are not used very often, then also unplug those. Turn your desktop computers to sleep mode whenever they are not being used and completely pull the plug whenever you are away on vacation. Whenever you leave a room make sure to turn the lights off and place your outdoor lights on a timer to avoid wasting energy after the sun comes up in the morning. Your entire home can be transformed into a smart house. That will enable you to turn lights off and on remotely while you are away from home. That can deter burglars and save energy. 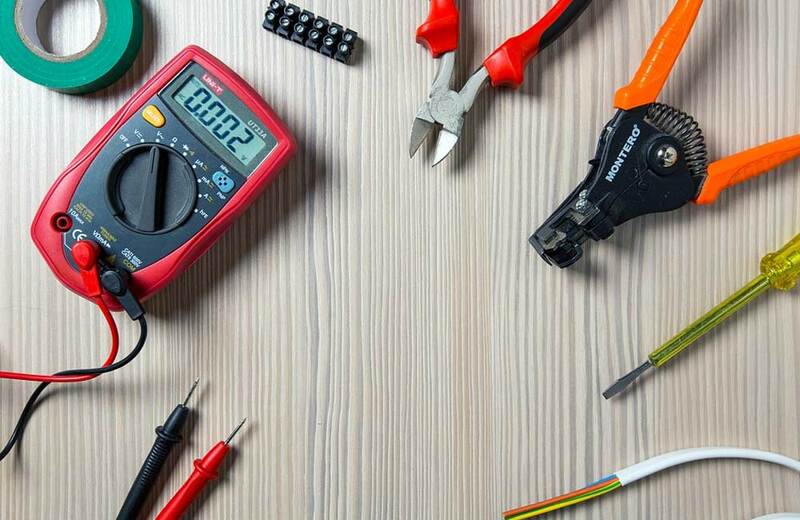 An electrical contractor can help to make those upgrades to your house. Installing LED lighting can be a great way to lower your energy costs. Although LED cost more than compact fluorescent and incandescent lighting, the bulbs require a lot less energy and last a lot longer while proving the same amount of illumination. Like traditional incandescent bulbs LED lights are not hot to touch, and there are no trace amounts of mercury contained in them like with compact fluorescent bulbs. Over the long run, switching over to LED lights can save you hundreds of dollars. Over the summer, make sure to close the blinds, shades, and curtains during the hottest parts of the day. That will make it easier for the air conditioner to keep your home cool and prevent the cool air from getting out. If you have any rooms that aren’t being used regularly, then you may want to shut the doors and close the vents in those rooms. If you stop cooling and heating rooms that you aren’t using it will help to save you money. In those rooms where the air needs to be cooled or heated, make sure the vents aren’t covered up by rugs or furniture. Make sure to clean the furnace filter and vents, since that will help to ensure that your heat works efficiently, and reduces your heating costs ultimately. During the winter, it is a good idea to open up all of the curtains and blinds and use natural lights to warm your house up. That will warm up your house, and you will have to turn on fewer lights, and that can reduce your energy use as well. If your exterior doors and windows have leaks or are not insulated, your air conditioner and heater will need to work harder. You can upgrade to doors and windows that are more energy-efficient, during the winter use storm windows, or add weather-stripping or caulk to your doors and windows. It might be a good idea to check on the insulation inside of your attic to make sure there is enough to cool the air or lock in the heat. There is a big upfront cost to upgrade appliances. However, having new energy-efficient appliances significantly lowers your use of electricity, water, and heat. Air conditioning units use up the most energy, so it can be a very good idea to upgrade to an energy-efficient model. Other home appliances that use up a lot of energy include water heaters, dryers, and washers. You can also wash clothes in cold water and hang your clothes out to dry to help lower your energy costs. You can reduce your water heating and water expenses by taking shorter showers.